Beautiful Parrot Green Color Pochampally New Design ikkath silk saree. 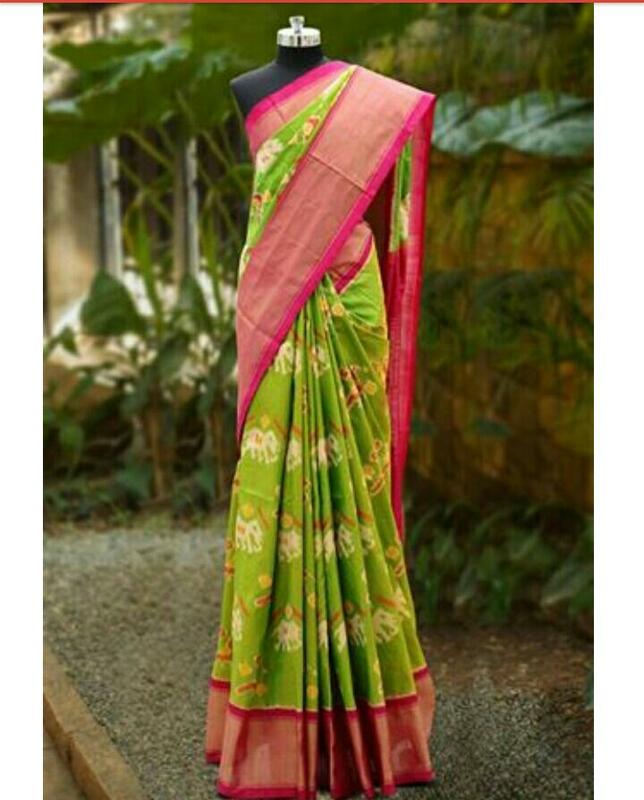 Woven Elephant Motifs on the saree. Contrast Pallu and Border . Rani Pink with Zari Combined border to the saree, Rani Pink Color Pallu, Woven Zari Stripes on pallu of the saree. Blouse also same Rani Pink. Bright Orange Color pochampally Ikkath silk saree. 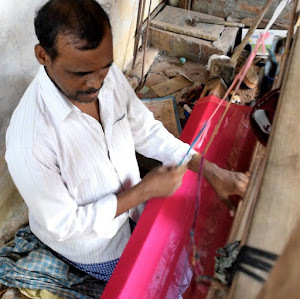 Woven small and Simple Motif Design all over the saree and Border becomes heavy. We selected Purple Color as a border, woven Deers Motifs on that as border of the saree along with Zari Border. It gives more attention to the border. Pallu and Blouse also same as Purple Color. Woven zari stripes on Pallu. Blouse comes purple with Zari Border. Traditional Bright Red Color Pochampally Newly woven silk saree. Woven Elephant and Parrot Motifs on the saree. Contrast Pallu and Border . 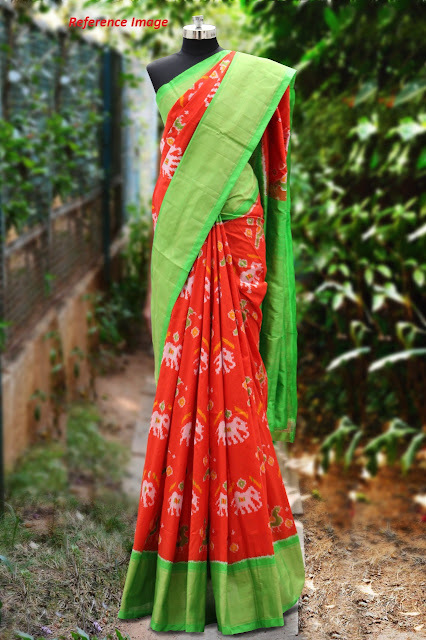 Parrot Green with Zari Combined border to the saree, It gives more brightness to the saree. Blouse also same as Parrot Green Color.